Our House is SOLD! Thank you Maribel for helping us with the sale of our home. We appreciate your professionalism and your quick response to all of our questions. It was a fast and painless process and we received multiple offers and a contract within 6 days. Thank you and it was so nice to meet you. We highly recommend Maribel Ramos! 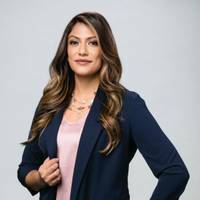 Dear Mike Bowman, I know you have an awesome team at Century 21 but I have to tell you about your SUPERSTAR Maribel Ramos. She went above and beyond by fighting for our family in negotiating and representing us with the builder. She cared about us and made this deal possible and our well being at the same time. I cannot stop praising her and she is now part of our family.